The Umphress Group exists to help people all over Colorado turn their real estate dreams into reality, in order to give those less fortunate around the world a reality they've only dreamed of! Whether local initiatives such as food, clothing or toy drives, or our international efforts towards sustainable communities in Sub-Saharan Africa (water and HIV/AIDS projects), the reason we're in business is to change the world. We cover the entire Front Range of Colorado, from Ft. Collins to Denver to Colorado Springs to Pueblo, and everywhere in between! 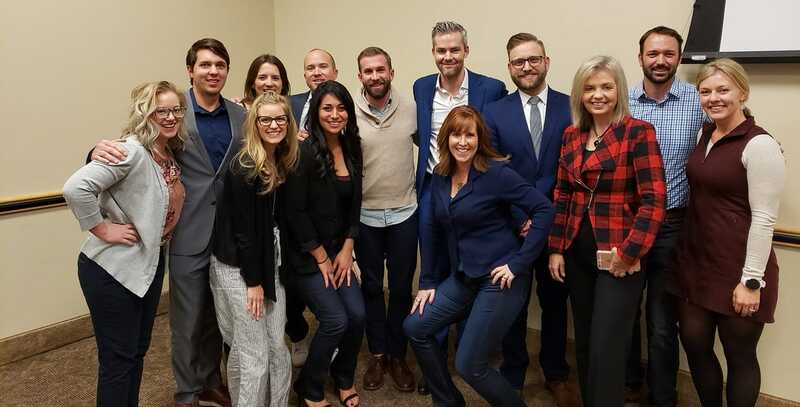 If you're in the market to buy or sell a home anywhere on the Front Range, want to hire one of the top teams in the state of Colorado, and want to make a difference in the process, we would love to help turn your dreams in to a reality! Annie is a Colorado Native with a passion to help others achieve their real estate investment goals. After graduating from Colorado State University, Annie moved to the Denver area in order to pursue a career in the Real Estate Industry. She spent three years with a nationally well-known property management company tending to resident and ownership needs. Once she decided to pursue her long term career she had all the experience to become a successful Realtor. Applying her exceptional customer service and accountability traits to every transaction and every client, ensures you will receive the up-most care and consideration when entering into your most precious life transaction. As a Colorado native, Ashley brings superior knowledge and passion to her business all along the front range. Growing up in Colorado, Ashley thrives on giving back and supporting the community through this defining journey of buying and selling a home. With the backing of over one hundred closings in the last year, Ashley will fulfill all your real estate needs with loyalty and commitment. As a former teacher and non-profit "field staff" Dave stumbled in to real estate towards the end of the economic downturn. After finding relatively quick success in the industry, he began to see a substantial amount of opportunity in using a Real Estate transaction to do a lot of good, and launched The Umphress Group. Fast forward 5 years, the team helps ensure that hundreds of thousands of dollars go to their partner communities in sub-Saharan Africa, providing life-saving water, education and sanitation to remote villagers, as well as local initiatives around Colorado. The team exists to make a difference, and every time someone buys or sells a home, that difference is made possible! While Lance cannot officially claim Colorado native status, his family moved here when he was about three years old, and he’s grown alongside the city of Denver ever since. He received his Bachelor’s degree from Colorado State University in beautiful Fort Collins, CO, which will always have a special place in his heart. Upon graduating, he started a marketing company and secured a variety of local clients here in Denver, many of which were in real estate. He’s had quite a few family members involved in real estate in some form or another throughout the years, and he developed a deep interest in the industry as a result. He decided to get his license and combine his real estate and marketing experience to make a positive impact on people’s lives. Lance is known for his laid-back demeanor and the ability to get along with everyone regardless of differences in personalities or opinions. Outside the office, you’ll find him checking out Denver’s craft breweries and local restaurants, taking in some live music around town, traveling, or playing his guitar. Whether you’re looking to buy or sell a home in Denver or simply want someone to talk with about what makes Denver great, Lance is the one to call! Ryan was born and raised in the panhandle of Texas. When the wind blows 50 mph daily and the name of your high school is the Golden Sandstorm, you know you are from West Texas. After living in Dallas for a few years, Ryan and his wife, Sara, decided they wanted a different place to call home and picked up and moved to Denver in 2011. After the initial house cost shock, they bought their first home and haven't looked back since. Ryan became a real estate agent after buying their third home in the Denver metro area. Ryan enjoys spending time with his wife and 2 year old daughter. Ryan volunteers at Flatirons Community Church in the Summit Kids Ministry and coaches 7th and 8th grade boys volleyball. Ryan understands that the keys for a smooth real estate transaction are trust and communication. He can guarantee that both will be in his top priority when you choose to work with him. Savannah moved from Charlottesville, Virginia to Colorado in 2013. Passionate about the mountains and the adventure they bring, she found her home base in Colorado Springs. With a background in outdoor sales and encouragement from her friends and family, she has now pursued a career in real estate. In her free time Savannah likes to trail run with her dog, road bike, and climb with her husband, Noah. She also is very involved in the local climbing community though her work with the Pikes Peak Alpine School. Having been a elementary and middle school teacher, I developed an ability to communicate ideas and concepts to students. This has been a reciprocally compatible trait to have in my real estate career. I believe what people want from their Realtor, is communication and to learn about the process. I enjoy teaching people the process of real estate and guiding them to make their dream home a reality.